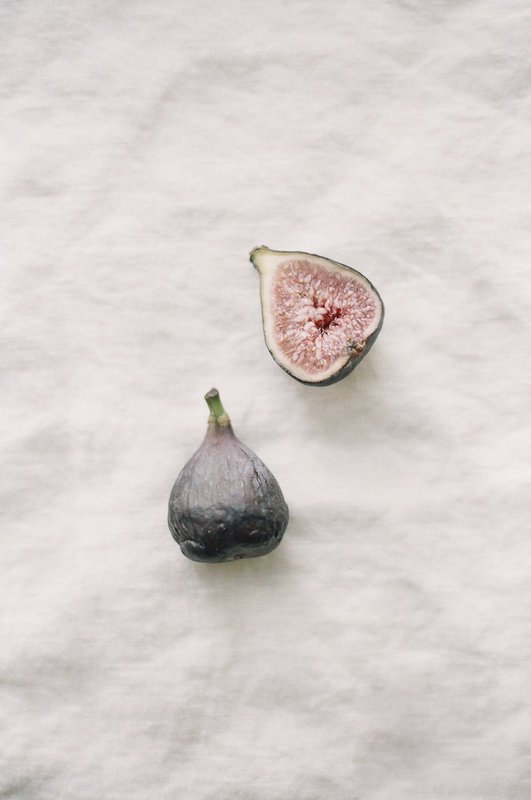 If you guys hadn't figured it out yet, I love photographing simply & minimally. I try to pick apart things or scenes happening in front of the camera, and break it down into sweet, smaller moments, as well as capturing the big picture. That idea was a driving force behind this tablescape inspiration shoot, and was also one of my first attempts to style and photograph. I wanted to photograph what I thought might be great images to inspire a couple planning their wedding who didn't have the biggest budget to spend on ornate place settings, or who wanted to bring some simplicity to their wedding reception by using what the had on hand to decorate. 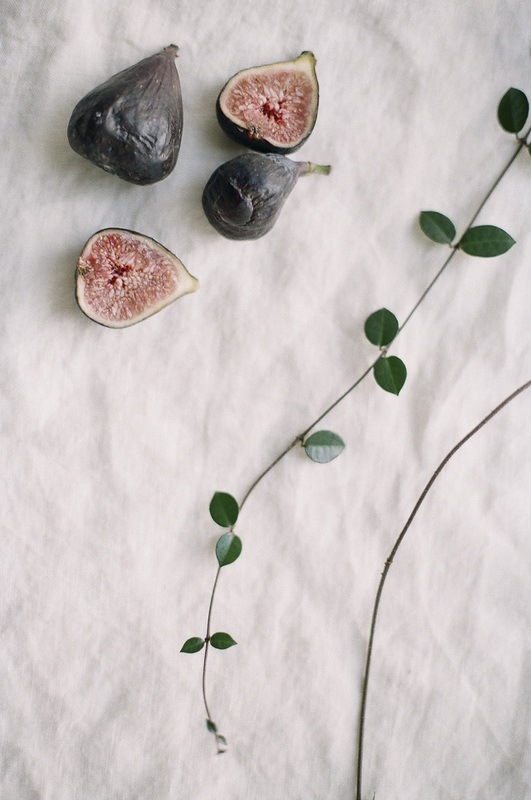 For these images, the simple decorating utilized jasmine vines, figs, and thin twine. The rest of the items pictured (plates, glasses, flat wear, napkins) are usually provided by the catering service you use, or your wedding venue. In this instance, I would have just upgraded the quality of the guest experience and images by foregoing the use of the stiff polyester rental napkins, and provide my own linen napkins. The ones in the photos are from Sur la Table. 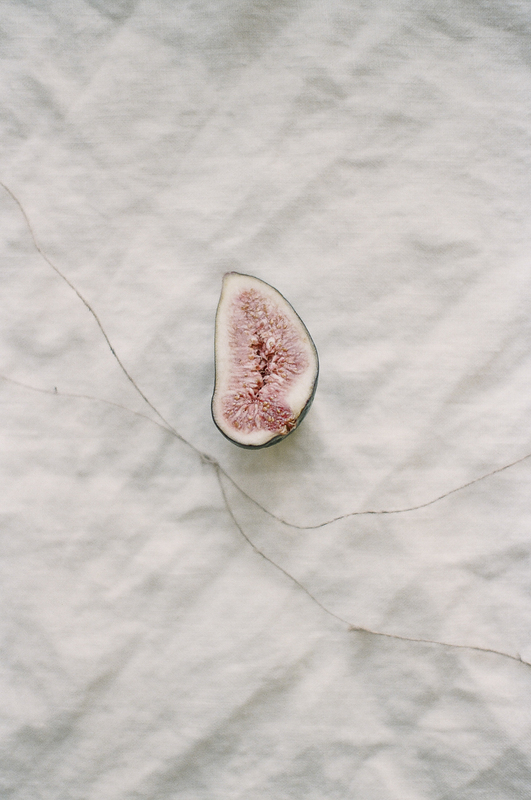 I styled and photographed several different arrangements of the figs, twine, and jasmine vines beyond the place setting. 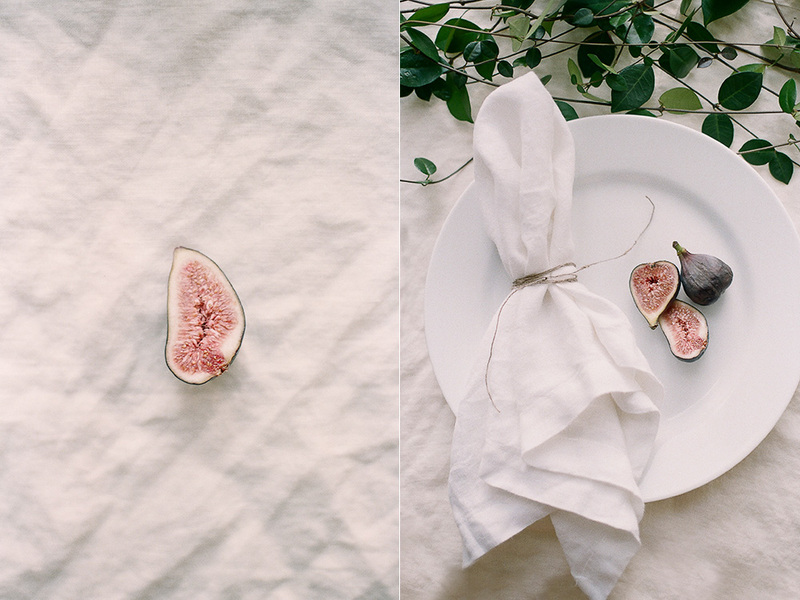 Any variation of these arrangements could be sprawled lengthwise down a head table to create an interactive food table runner, where guests can swipe a fig to eat if they wanted. It's simple, easy, fun, and you don't have to mess with a ton of clean up or cleaning of vases. This eco friendly wedding idea simply cannot be beat. If you want to see another food table runner I photographed (in action), you can click here. This is definitely a version of a route I would take to decorate a wedding head table if you're planning a low key, organic, beautiful wedding. Thanks for reading!